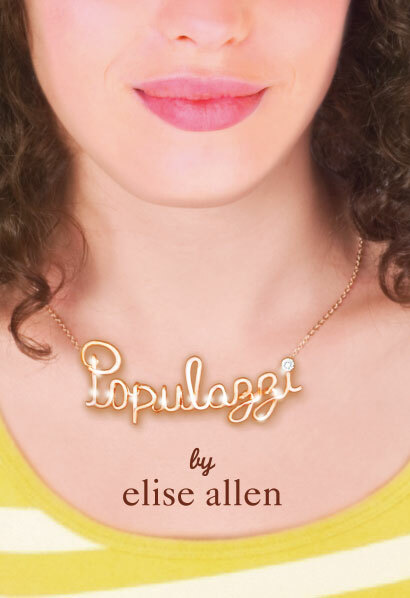 Elise Allen’s Populazzi came out last week, so she stopped by to answer a few Very Important Questions for me. Hooray! Elise Allen: At age 8 I wanted to be a veterinarian… despite the fact that I can’t bear the site of blood and would doubtless pass out if I had to give an animal a shot. Clearly, this career trajectory wouldn’t last. At age 18 I wanted to be a star of stage and screen… despite the fact that I freeze on camera, and can’t get out of my own head enough to dive into a character on stage. Small problems. The world would undoubtedly love me anyway. By age 28, I’d found the career I love. I was getting paid to write television, worked in both prime time sitcoms and kids’ shows, and knew there was nothing in the world I’d rather do for a living than write. EA: Robert Schwarner! I love him, and I love him most of all because he was completely unexpected. I’m a plotter, and I had a full outline for Populazzi before I started writing, in which Robert Schwarner did not appear. He appeared briefly in the first draft, a Happy Hopeless in a Beastslayer cloak (Happy Hopeless = lowest rung of the popularity tower, so out of sync with what’s cool that they don’t even realize there is a popularity tower, nor are they aware of their lowly spot on it). Then draft after draft he grew to this bizarrely wise oracle who’s actually far more together than anyone else around him. EA: PeeWee’s Big Adventure, The Muppet Movie (the original), Casablanca, Johnny Dangerously. Not sure Casablanca has ever been listed in that particular company, but there ya go. EA: BEATLES!!! I love me some Elvis, but he didn’t really evolve the way the Beatles did. You more or less get what you get with Elvis, while with the Beatles you can enjoy everything from the joyful simplicity of All My Lovin’ to the lyrical beauty of In My Life to the more complex lyrics and music of Revolution or the stuff on Sgt. Pepper. My own coolest Beatles (sorta Beatles) moment? I went to see Billy Joel’s Last Play at Shea concert… and he brought out Paul McCartney to play Let It Be. Oh. My. God. Even Billy Joel was geeking out. Now I think I have to go look up tickets for the Beatles Cirque du Soleil show in Vegas. I’ve been dying to see it and now I’m newly motivated! Thanks for having me on the blog, Mindi! After starting her career in television, ELISE ALLEN has emerged as a vibrant new voice in teen fiction. 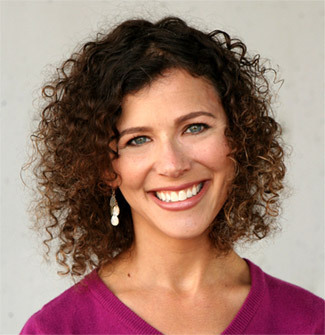 She is the co-author of Hilary Duff’s New York Times Bestseller Elixir, as well as its sequels, Devoted and True. She received an Emmy nomination for her work on the PBS show Dinosaur Train, and fulfilled a lifelong dream when she wrote for the Muppets. She lives in Los Angeles, where she indulges her inexplicable desire to run marathons. Visit her at http://www.eliseallen.com, or on Twitter @EliseLAllen. I’m curious… how would you answer the last question: Beatles, or Elvis?